Charcoal is made on industrial furnace. Made charcoal corresponds(meets) GOST 7657-84 and is applied in metallurgy by manufacture of pig-iron which is not containing phosphorus, sulfur and other elements inevitably getting in metal at use of coal coke. At course pair sulfur through a layer of heated up charcoal, turns out is grey carbon æS 2 , used in manufactures of an artificial fibre, cellophane and a viscose cord. 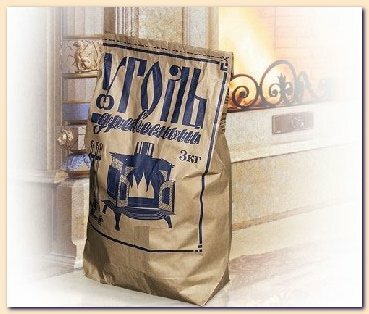 Charcoal is used for manufacture of activated coal - most effective absorbent (the surface of 1 gramme of activated coal reaches(achieves) 1000 square meters). Coal is used also as a regulator at use of technology of cementation by manufacture of reservation, and also in other industries. 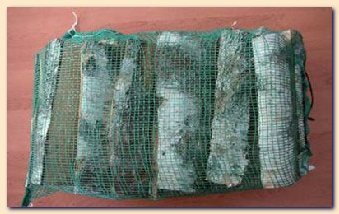 Manufacture and consumption of charcoal for household purposes (grills, fireplaces etc.) recently has sharply increased and tends to steady growth. 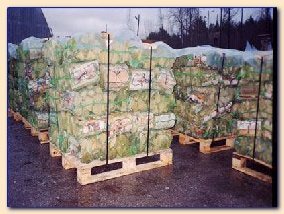 On burning product does not release harmful residues (resin, pitch, methane, etc.). This is its main advantage and this makes it highly suitable for domestic use. 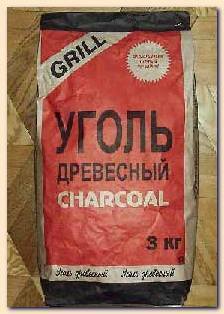 "Grilly - charcoal " is used for fast cookøíng of different dishes in grills, barbecue and also for fireplaces. Apparent density of charcoal is 220 kg/m3. Potential density - 370 kg/m3. Low concentration combustion limit of charcoal dust is 128 g/m3. Maximum allowable concentration of charcoal aerosol is 6 mg/m3. The charcoal is packed on Europalletes 0,8-1,2 m, there are 120 3-kg bags on one Europallete and there are 32 10-kg bags on one Europallete. Transportation of charcoal is made in dry boxcars or by autotransport in accordance to rules used for given mode of transportation. charcoal is stored in bin or closed storage under shelters or covers this protects product from atmospheric condensation. warranty period is three ( 3 ) years from production date. 200 USD / 1000 kg. Manufacture of fuel granules is one of basic and perspective investment projects for our organization. An existing engineering infrastructure and a source of raw materials will allow to create manufacture pellet capacity 4 ton / hour (annual volume - 30 000 tn.). Volume of planned investments 1 million euro.